"The contest season has been marked throughout by the greatly improved organisation that has made the principal meetings more enjoyable both from the contestants' and the spectators' viewpoint." 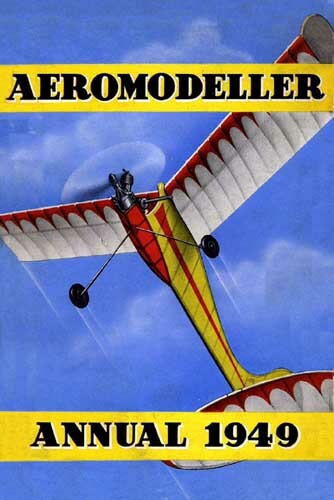 "A review of the year's aeromodelling throughout the world in theory and practice; together with useful data, contest results and authoritative articles, produced by staff and contributors of the AEROMODELLER"
SWISS "CHAMPION " AND SWISS TAILLESS "VAMPIRE"
PINOCCHIO II - FRENCH POWER BIPLANE FOR UNDER 1 c.c. MOVO 30 - ITALIAN COMMERCIAL POWER MODEL FOR 2 c.c.